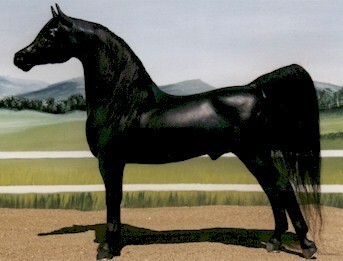 Breyer PAS CM to black Arabian for Betty Hook. I am not sure who owns him now. Stupidly sold him, but I bought him back, and he's staying here.